Maya has been wanting to make these for some time, and now I have finally obliged! 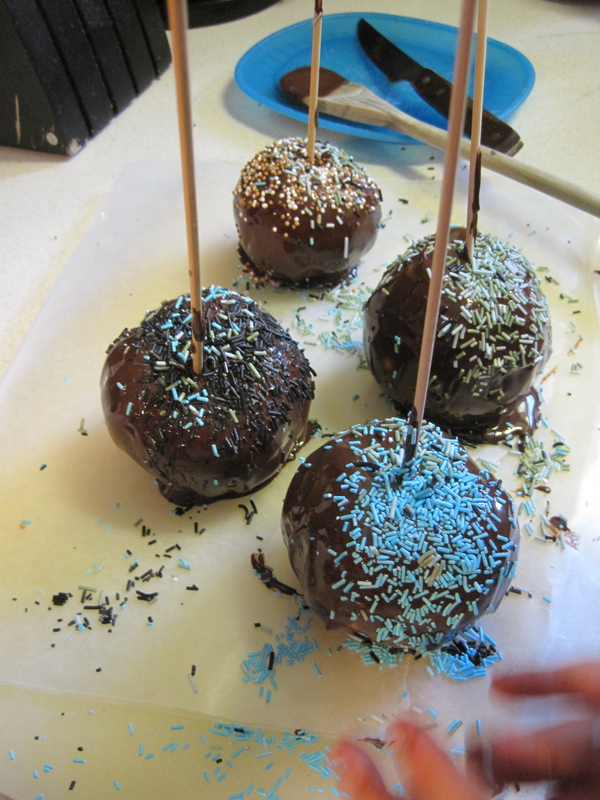 Then it’s time to sprinkle the apples with sprinkles! Quick before the chocolate slides off! Next, pop them in to the fridge to allow the chocolate to harden. 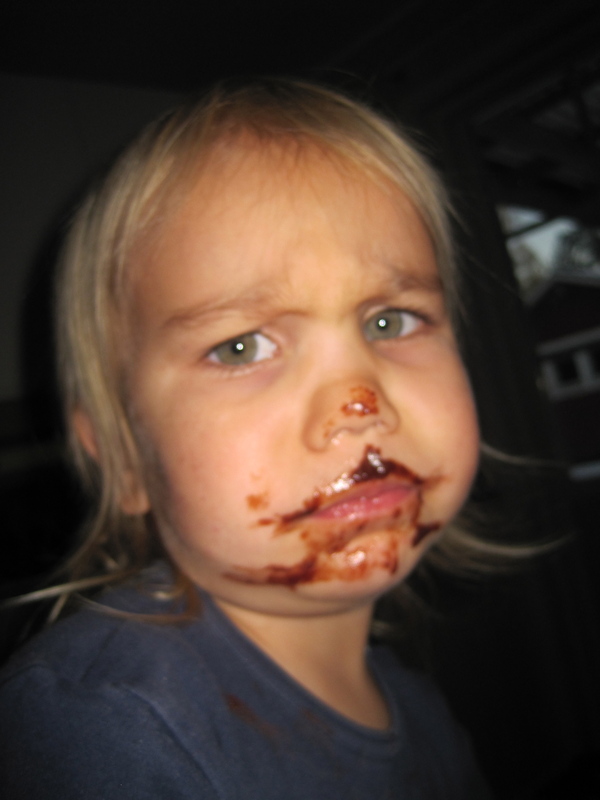 The kids have yet to eat them as Leon is away with the Scouts again this weekend – but a cheeky monkey managed to grab hold of the chocolate covered spoon when my back was turned…. I am cracking up over here! That face is priceless. You should make a 20×24 poster for the house! 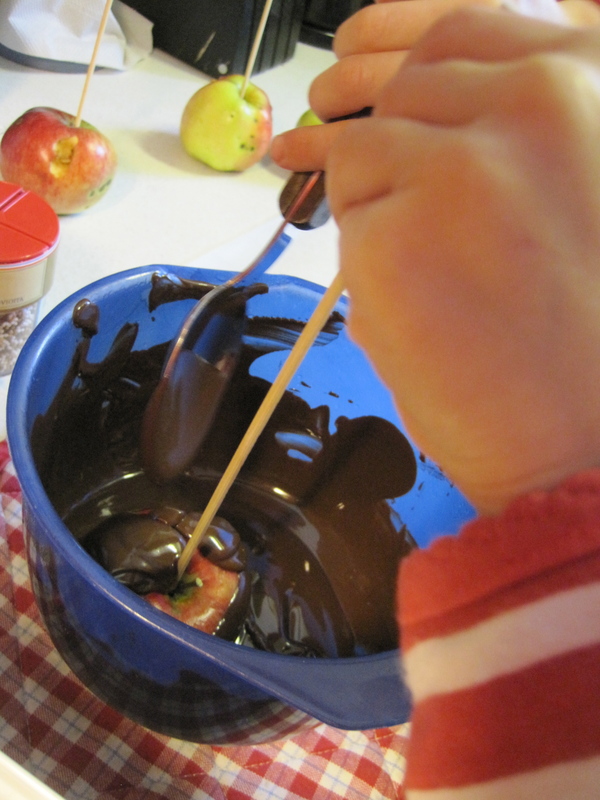 Would you believe i have never heard of chocolate cobvered apples – only caramel apples. These sound so yummy. maya had a good idea but I don’t think your timing is going to please Leon. Hope you saved him one.